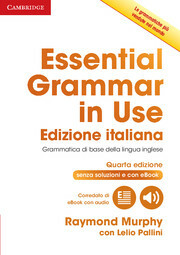 Essential Grammar in Use Italian edition is a self-study reference and practice book for elementary-level learners of English (A1-B1). This 'without answers' edition is simple, easy-to-use and is perfect for classroom study, covering all the areas of grammar you need at this level. It offers clear support for Italian speaking learners, including a special focus on areas of grammar Italian learners often find problematic. This fourth edition also comes with an interactive eBook. 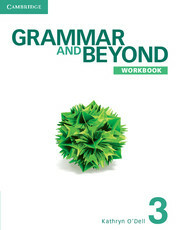 The eBook has the same grammar explanations and exercises found in the printed book, but also includes an answer key, and additional features such as audio.